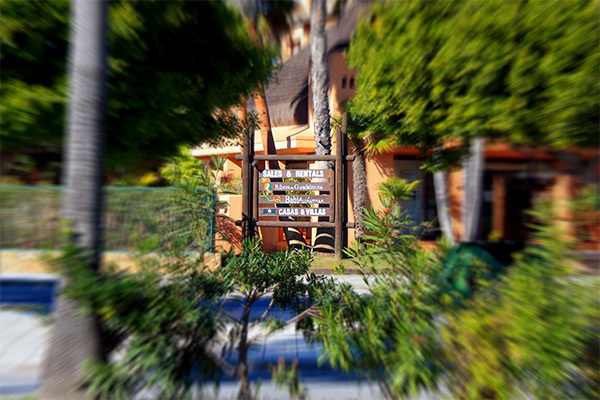 Marbella means fun, luxury and relax. 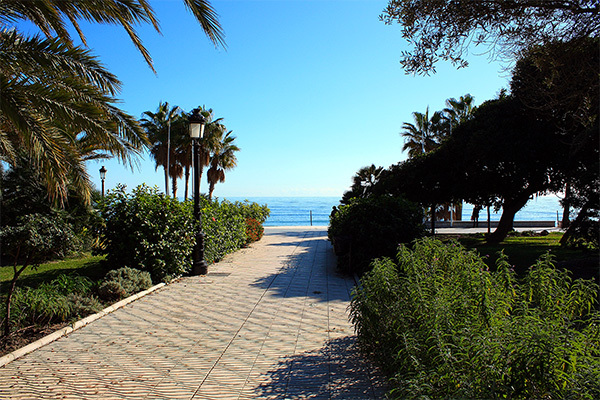 Marbella is a popular destination for beach, good weather and luxury. The Festivities in honor of the city's patron, Saint Barnabas, take place in the week around the 11th of June and commemorate the recapture of the city by Ferdinand and Isabella in the year 1485. By day, the Old Town and the La Alameda Park are the main places of action for a multitude (many of them dressed in costume) who roam the streets eating tapas, drinking, singing and dancing nonstop. When night falls, the fun continues at the fairground until the wee hours of the morning. The festivity of Virgen del Carmen on the 16th of July is a celebration of seafaring tradition with a sea procession of the fishermen´s patron saint. The Fiesta del Tostón the 1st of November is a very traditional celebration in Marbella and consists in going to the country side with friends and family. Fundamental is carrying chestnuts which will be roasted later. 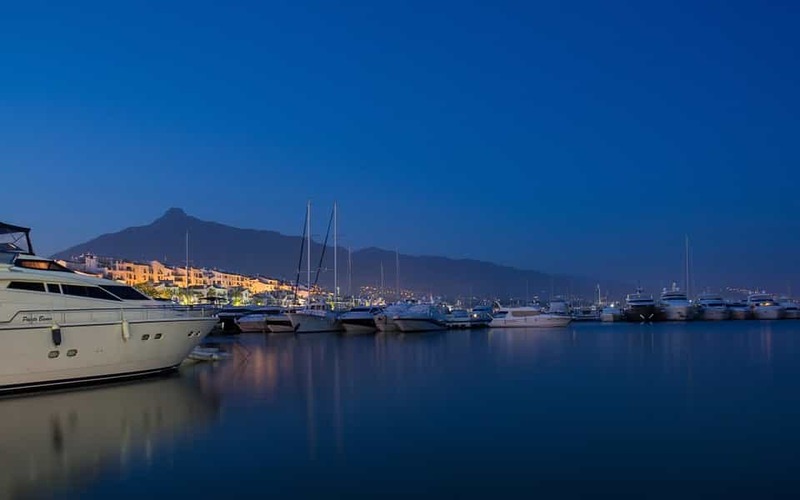 Alternative events in Marbella are the International Opera Festival, the Marbella Reggae Festival, the International Jazz Festival, the International Cinema Festival and the Festival of Independent Theatre. Cavalcade of the Three Wise Men, January 5. The Cavalcade of the Three Wise Men usually leaves at 6 pm in Magallanes Street and ends two hours later in the Avenida Ricardo Soriano, after having passed through the streets of the city centre and distributed tons of sweets; as a detail, in this parade all candies are suitable for children with celiac disease (without gluten). 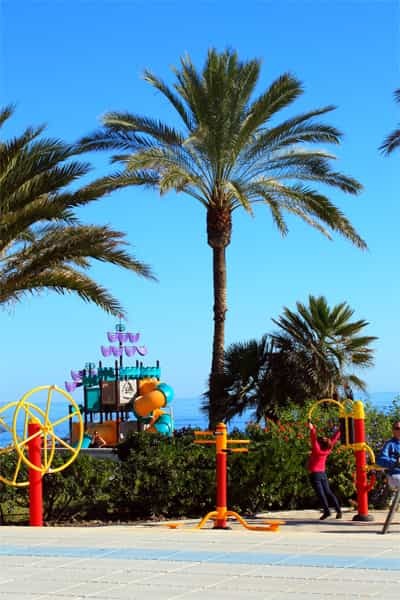 Carnival in Marbella is celebrated with many recreational and festive activities, carnival groups, children's party, costume contest, parade and carnival party at Parque de la Represa, where takes place as well the traditional Burial of the Sardine. - St. Valentine's day in Marbella is the perfect excuse for a romantic and luxury getaway in Spain, you can book the hotel with special deals for St. Valentine and have a romantic dinner that night. 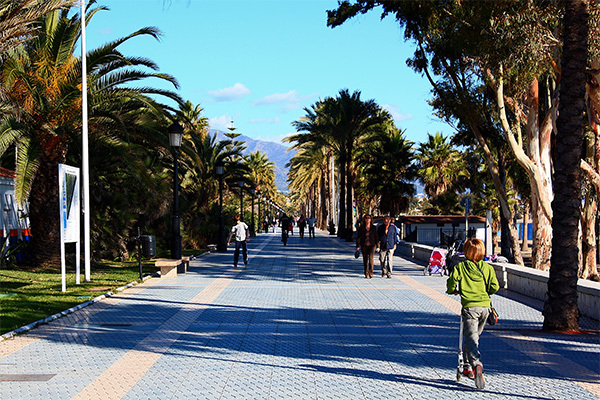 - Andalucia day in Marbella the 28th of February: This event at Av. Las Albarizas includes musical perfomances and free food with a big paella. There is also a drink bar with low prices. The Easter week in Marbella was boosted in the mid 90's, after having spent years in oblivion due to media interest in the jet set of Marbella. Since then, the Easter of Marbella has regained prestige and strength with beautiful processions through the old town and ancient customs have been recovered such as the distribution of oil cakes in the morning. These days are lived with passion and great solemnity. Easter Sunday, in contrast, is lived with great joy. - St. Patricks day in Marbella: Celebrated worldwide by irland people this event use to be held on the terraces over Marbella Marina. The official date this year is the 19th & 20th in March. Pilgrimage to the Juanar Cross, May 3. This day there is a procession that leaves at dawn to the Juanar Cross, located in the Sierra Blanca mountains, a beautiful natural viewpoint with fantastic views of the coast and Marbella and on clear days to Gibraltar and the African coast. Marbella fair, also known as Saint Bernabe Fair, in honor of the patron saint of Marbella, is held during the week of June 11 (6th to 12th of June in 2017). The day fair takes place in the old town, with much folklore, costumes, food, lots of wine and music; at night the fun moves to the fairgrounds, where it continues until the wee hours of the morning. During these days also takes place the traditional pilgrimage of St. Barnabas, with adorned horses, oxen and carts, celebrating a festive day with great joy, color, good food, wine, music and dance. The International Art Fair around the third week of June shows a large number of artworks in the Avenida del Mar, with music, theatre and workshops for adults and children. On the Night of San Juan, June 23 to 24, bonfires are lit on the beaches of Marbella and large numbers of people celebrate this night with Moragas (grilled sardines on the beach) and music. The feast of Virgen del Carmen, the patron saint of fishermen, is celebrated on July 16 in all municipalities of the Costa del Sol. 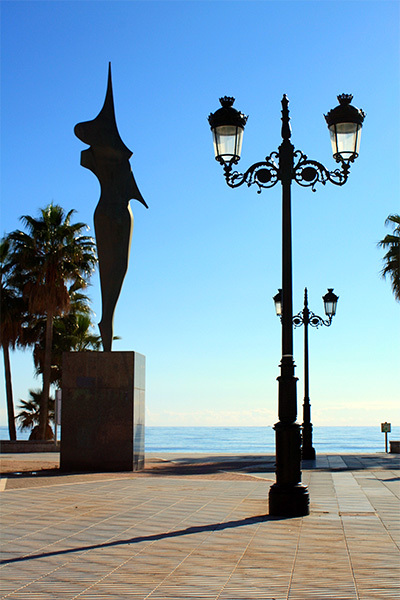 In Marbella this day is celebrated with special affection, as the Virgin is the patroness of the city. The procession takes place between the fishing port and Puerto Banus and then the statue is carried into the sea, accompanied by numerous boats, to bless the waters. Verbena, September 14 and 15. A Verbena is a neighborhood festival that takes place in different districts of the municipalities. These are usually pleasant and fun days with many attractions, horses, fireworks, musical performances and popular Paella, in the neighborhood of Cristo de los Molinos in Marbella. In the Marbella Congress Centre takes place the International Fair of Contemporary Art (Marb Art), from September 23 to 26. Columbus day in Marbella is called in Spain Hispanic Heritage Day or as 'día del Pilar', it is a free national day with parades. The San Pedro Alcantara Fair in the week of October 19 is the second most important festival in the town of Marbella. The fair in honor of the patron saint of this district of Marbella also has a day fair in the city centre and the night fair that takes place at the fairgrounds bursting with joy and color. A feast especially celebrated in Marbella is the Roasted Chestnut Day on November 1. On this day families and friends spend an enjoyable day in the countryside, with sweets, anise and plenty of freshly roasted chestnuts. Halloween in Marbella is celebrated everywhere, many pubs offers discounts for people using costumes and there are contests for the best costume. Christmas in Marbella: During December take place many activities in the municipality, with a Solidarity Christmas Bazaar, ice rink and children's attractions in the Congress Centre, Christmas concert; Santa Claus' house, puppet theater and children's party at Plaza de la Iglesia, plus a huge range of Christmas dinners and New Year's Eve dinners in the best hotels in Marbella as well as countless parties.